I might not be a makeup expert, but I do like a bargain. Despite what all those glossy adverts might have you believe, there's no need to spend a small mortgage filling your makeup bag. In fact, I've found that some of the best makeup products on the market are those from cheaper brands. Deciem is one my most recent discoveries. Its honest approach to branding and the chemicals it uses, making this brand an easy favourite. That being said, it helps that their range The Ordinary is super cheap! 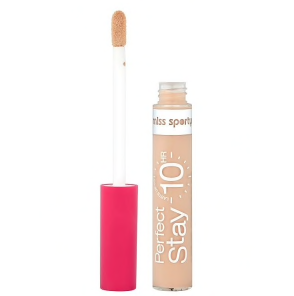 I may be a creature of habit, as Miss Sporty's concealer is the first one I ever used, but I've stuck with it because it works. I mainly use it to cover up spots and the odd under eye tiredness bag, but the liquid blends well into the skin and covers whatever I need without showing. Why pay more? Another recent addition to my makeup collection, but Deciem's Foundation is one of the best I've found. Providing an exceptional range of shades, good coverage and all at a cheap price, this foundation is my new go-to. I spent a long time searching for a contour palette that matched my complexion and I could actually figure out how to use! This handy guide helped me to work out where to put it. As a dancer when I was younger, the cheapest blusher palette from Bodycare was what I had my cheeks bronzed with for all those recitals and end-of-year shows. And so, I've stuck with it. It adds the colour to my cheeks that I need to look alive in the dead of winter, and for far less than other blushers on the market. If I'm going out, I'm definitely a girl who loves a bit of glitter! This glitter brush allows you to carefully apply the shimmer to your face directly from the glitter barrel in the handle - be careful to test how much comes out before you put it on your face... I have been mistaken for a disco-ball on occasion. Similarly, I love these bronzing pearls to add shimmer whilst also beginning to blend in the rest of the blusher I have applied. This is the one product I've always used, since before I had an interest in pretty palettes or blending brushes. As it comes in a wide range of colours and at a cheap cost, this pressed powder is perfect to create a finished look and blend your entire face. It feels like everyone's trying to achieve the icy cheekbone glow to complete their contour. Well, I'm here to tell you that MUA's highlighter is the absolute one to fit that job description. And, coming in a huge range of shades, means that you can have varying levels of glow depending on your mood. My favourite thing about MUA is that they do a range of different lipsticks for only £1! They may not last the whole night but the colours are so powerful that they're well worth the spot in my makeup bag. I've found that Kiko's lipsticks are always up and down in price depending on the store location and whether you manage to find a sale. However, if you're in the right place at the right time, I've been able to bag some gorgeous colours for cheap prices which stay on for long periods of time. I received the 2017 version as this palette as a Christmas present and can honestly say that it's the best present I have ever received. The extensive range of colours means you will never have need for another palette and the pigmentation certainly allows for a range of looks to be created. I'm not great with mascara and so tend to stick to the one that I'm used to because it has served me well in the past. 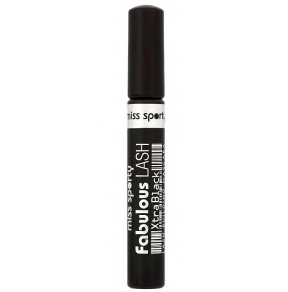 Miss Sporty's mascara creates longer, thicker lashes - perfect! Brushes are my one nightmare; I completely resent paying extortionate amounts of money for something which seems so futile in the scheme of things. My current tactic is that it's cheaper to replace Primark brushes than to go to the effort of cleaning more expensive ones.